Eat local. Being close to the food we eat has become increasingly important. As consumers of food, we now care about where our food comes from and who grows it. There is a big focus on healthier lifestyles and an exploration of eating seasonally. Farmers’ markets are popping up everywhere, with farmers and local artisans taking center stage. 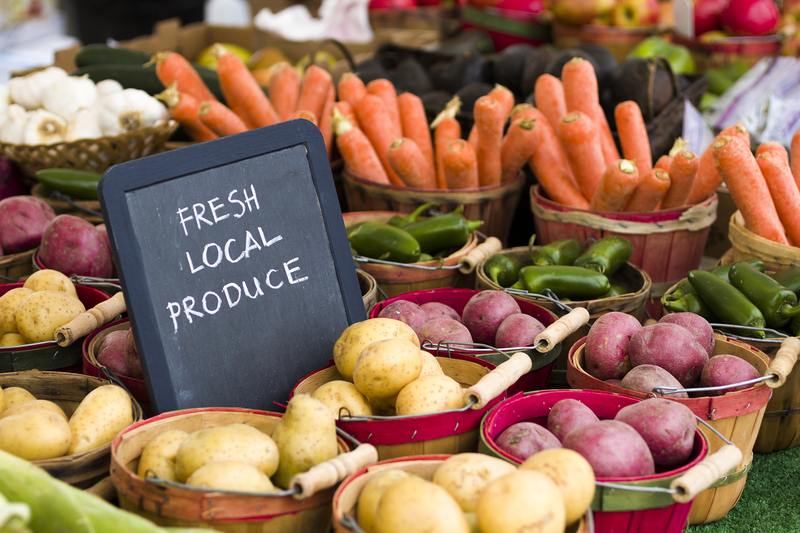 Customers can explore new vendors, sample fresh produce and engage with other people in their community. It’s during these farm market moments—meeting and talking with the very people that grow the food you’re buying—that a visitor is captured and becomes a customer. Come in from the bitter cold of winter and enjoy a lively farmers’ market here in down town Honesdale at The Cooperage! The market will be filled with homemade goodies, locally grown produce and fresh baked goods. Enjoy farm to table eats from Anthill Farm Kitchen, locally grown produce and other artisan goods. If you are looking for restaurants that feature locally-grown/sourced foods please check out the restaurants below!